Why to Wash Your Hair with Baking Soda? There are lots of cosmetic shampoos available in the market. But almost all of them are loaded with harmful chemical compounds which, when used again and again, can rip the natural moisture away from your scalp. Consequently, your scalp becomes dry and flaky and you are left with a head full of dandruff. It has been seen that the regular use of a mild shampoo can also damage our scalp as well as hair, thereby promoting hair loss. Being a natural ingredient, baking soda can work as a safe and more reliable substitute for those over-the-counter hair cleansing products. It can remove dirt, dust, excess oil, sebum and all other unwanted objects accumulated on your scalp and locks and make them absolutely healthy in no time. Furthermore, the ingredient is quite cheap and easy-to-avail, which should be counted as another reason for using it. How Does Baking Soda Work for Our Hair? • It keeps our scalp clean by sucking out all sorts of dirt and filth present on it in a gentle manner. A clean and clear scalp does not lead to dandruff or itchiness. • The high pH content of the ingredient makes it a good absorbent of excess oil and sebum produced by the scalp. In short, it works as a dry shampoo and gives us a grease-free and healthy scalp. • It prevents the oversecretion of oil as well as sebaceous glands present on the scalp, while retaining its natural moisture. Hence, our scalp and hair neither get too oily nor too dry. 1. At first, wash your hair with lukewarm water once or twice. It will prepare the strands for a healthy baking soda wash.
2. 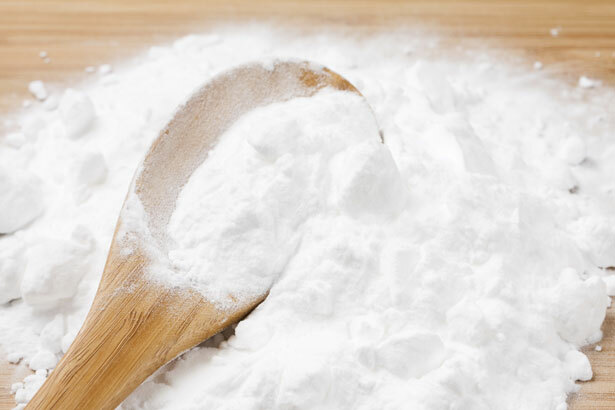 Now, take a cup of lukewarm water and pour 2 to 3 heaping tablespoons of baking soda into it. Blend properly with the help of a spoon. It should turn into a smooth paste of medium consistency. Make sure that there is no lump. 3. Apply this paste all over your scalp and hair. Massage gently with your fingertips and then, rinse off with fresh cold water. The paste should not stay on your scalp for more than 4 to 5 minutes. 4. Finally, condition your hair with apple cider vinegar and get dandruff-free healthy hair. 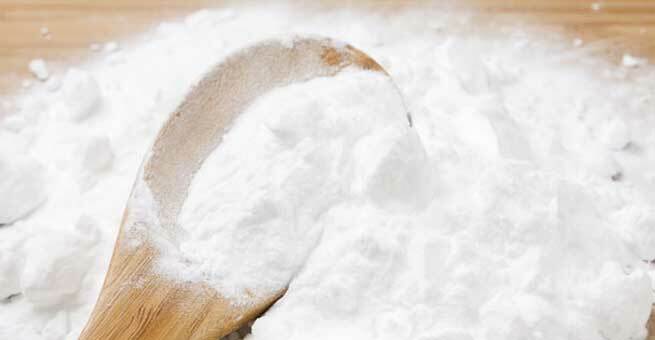 So, are you going to include baking soda in your regular hair care routine?